Sometimes, mid-week sales are better than the weekend and today is no exception! 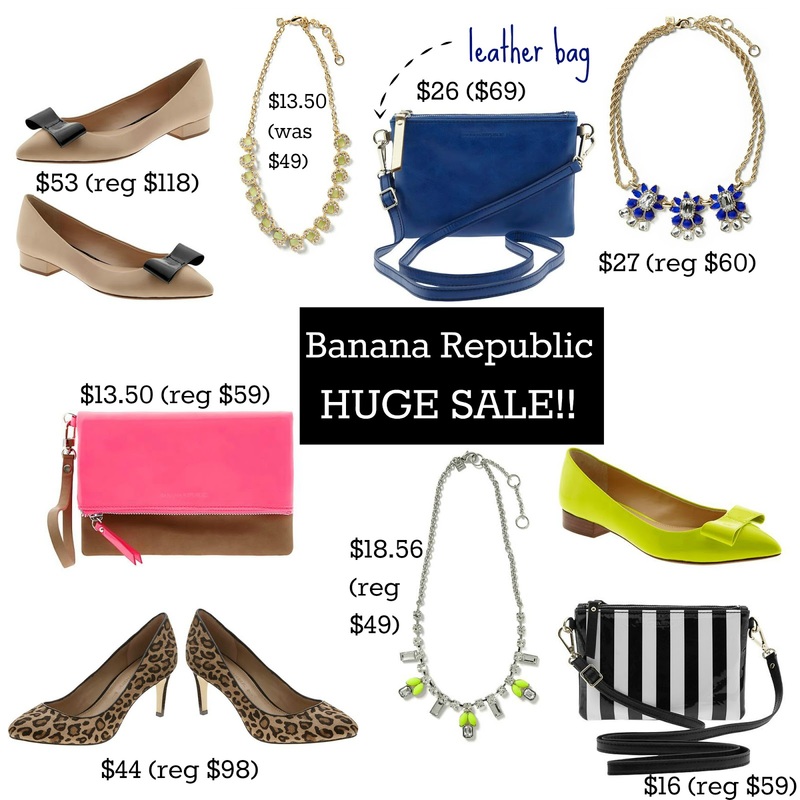 Banana Republic is having a major sale with stackable codes on top of their sale prices. I've already placed two orders so I can verify the codes are working together, but I'm sure this won't last long...so if you want it, order it! You can save the most on handbags and jewelry, two of my favorite things at their store. Shoes are also at a deep discount and after buying a pair in January, I am hooked on the quality. Clothing of course is also discounted, but it's a rare thing to find leather shoes and bags at this price. Banana Republic (apply codes in this order) 40% off sitewide using code BRLUCKY + 25% off Full Price Styles using code STYLE25. Since some of the new arrivals are also "on sale" you are scoring a major discount on new arrivals. If the code doesn't work the first time, try removing the code(s) or switching your browser. I love the wish necklace and of course all the shoes! My husband would give the side-eye though if i buy another pair this month! lol!!! I can't stand the judgyness!! Heheh. But they are really cute. My friend bought a super amazing bracelet and rose gold pumps from the sale yesterday. Too..much...temptation.